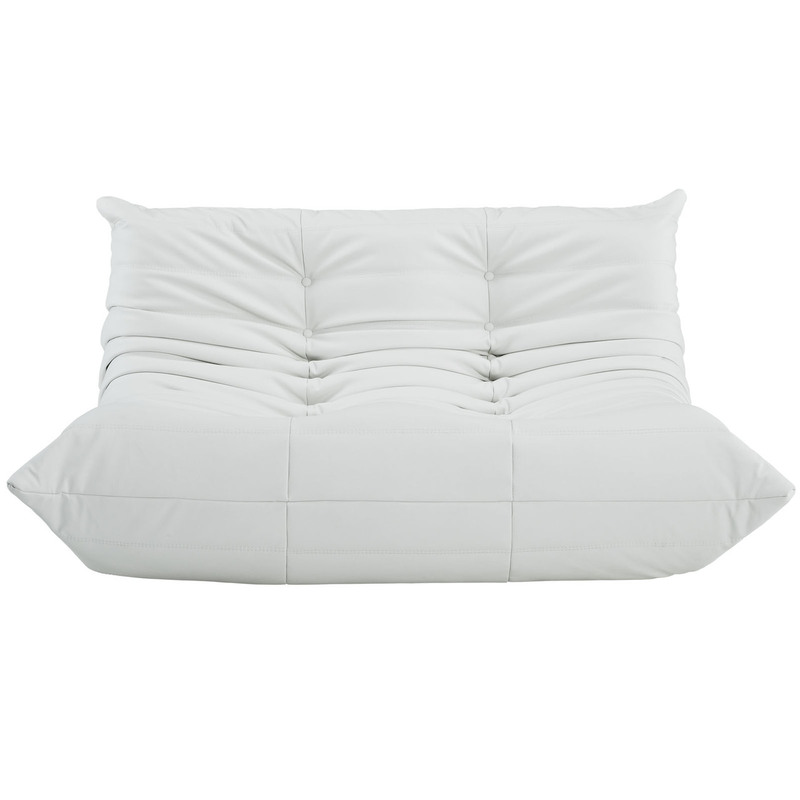 Inspired by the Togo loveseat collection designed by Michel Ducaroy, Downlow Loveseat has an iconic classic design. Both inviting and comfortable, Downlow loveseat features ergonomic designs with multiple density foam constructions and luxurious bonded leather upholstery. Bring the look of this truly impressive reproduction loveseat into your house or vacation home, it will add value and enhance the look of your home. 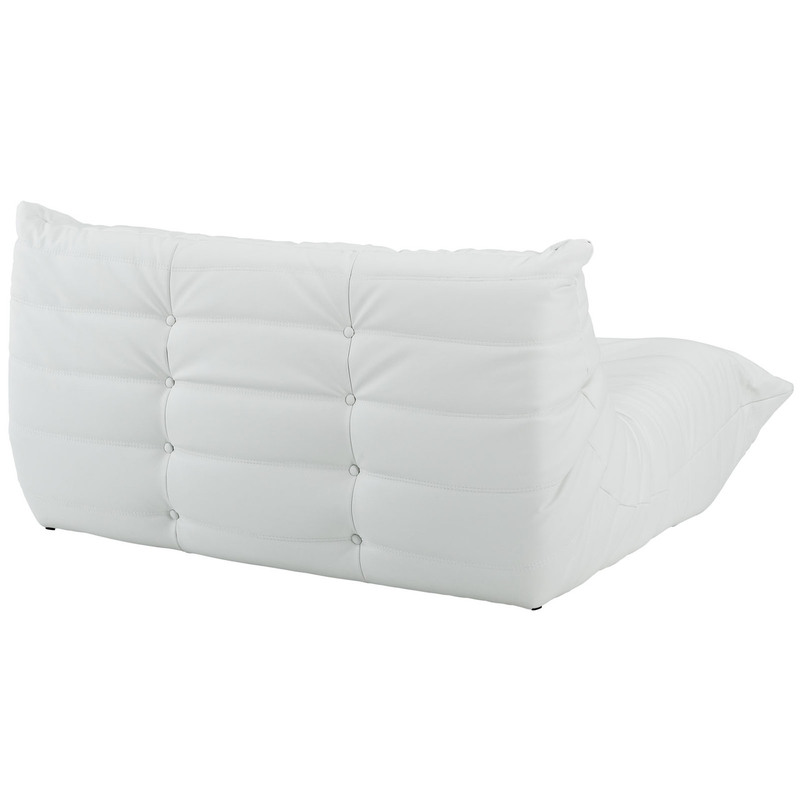 An instant hit, Downlow white leather loveseat is a fine example of a great design without sacrificing comfort. Downlow Collection offered in 5 different pieces that you can mix and match armless chair, sofa, loveseat, corner seat, and ottoman; with modular design we suggest playing with the layout and arrange the seating to fit your personal living space.